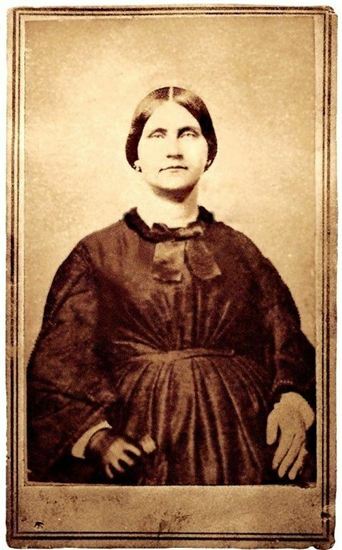 CDV of Mary Surratt discovered by Michael Kauffman in the papers of an associate of Ben Pitman’s. Pitman used this photo to create the “Ring of Conspirators”. What the he k is she wearing a rubber glove on one hand?? I’d agree that those gloves seem a little too small for her hands. Great post, Dave! Those gloves were kid. Very high fashion – a ladies gloves were supposed to fit “like a second skin.” I’ve also seen the spurious photo of Mrs. Surratt posted as bonafide in museums…and went out of my way (and business!) to tell them to please take it down!